Friday, November 12, 2010 marks the 75th anniversary for the Wayne National Forest in southeastern Ohio. The Forest will celebrate its birthday throughout the coming year with various activities. On Friday, several employees will participate in local community service projects. In the spring, the Forest is planning to host a public event to celebrate its anniversary at its Forest headquarters in Athens County. The planning for a national forest in Ohio started in 1934, when Ohio leaders passed the Consent Act of 1934, allowing the federal government to begin purchasing public lands. On November 12, 1935, with the purchase of almost 43 acres in Lawrence County, a national forest was born. Since the first land purchase, the Wayne National Forest has grown to more than 241,000 acres with lands in 12 counties. Today, a workforce of 70 full-time employees manage the Forest for a number of multiple uses, including recreation, timber, minerals, water, grazing, fish, and wildlife. 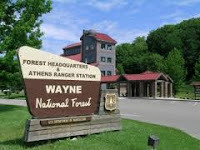 The Wayne National Forest falls under the United States Forest Service, an agency within the U.S. Department of Agriculture that has existed for more than one hundred years. The Forest is one of 155 national forests, 20 national grasslands, and 222 research and experimental forests, as well as other special areas, covering more than 192 million acres of public land in the United States. In the last 75 years, the Wayne National Forest has purchased lands that were so impacted by destructive logging, mining, and agriculture that nobody else wanted the land. Some of the lands were even abandoned and were tax delinquent. Once purchased, the first priorities became erosion control, reforestation, control of wildfires, and the reintroduction of wildlife species. A Forest once bare of trees from its early days is now reforested with trees that are helping improve the habitat for wildlife. Since 2001, the Forest has completed 32 abandoned mine land projects that have improved the water quality for area watersheds. Today, more than 500,000 visitors come to the Forest annually to experience the great outdoors. From Ironton to Marietta and Nelsonville, the Forest has invested in recreation opportunities for the public to camp, fish, hike, and bike. 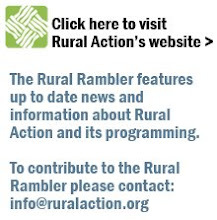 In the early 1990?s, the Forest opened a designated off-highway vehicle trail system that is visited by thousands of people from across the region helping the local economy. In 2001, the Forest Service built a new Forest Supervisor?s office in Athens County, a facility that takes into account the local rich history of farming, mining, and also the brick industry. As we look to the next 75 years, the 2006 Forest Plan emphasizes our continued commitment to improve wildlife habitat and ecosystem restoration. To learn more about the Wayne National Forest, visit our Forest web site at www.fs.usda.gov/wayne. For further information, the public is also welcome to stop by the Forest Welcome Center located off US Hwy 33 between Nelsonville and Athens or call (740) 753-0101.